Northern Israel is a popular destination for Israelis. In the spring wild flowers are abundant, family picnics, BBQ's and camping can be great fun. Moderate temperatures in the spring and autumn months make this an ideal time to visit Northern Israel. A five kilometer trail, suitable for the whole family, includes the Rothschild Gardens in Zichron Yaakov, stunning views of the Carmel coast line and natural springs. In the gardens you can linger in the rose garden, the palm tree garden, the garden for the blind with strongly scented flowers, herbs and vegetation. Park Shuni and Park Alona are nearby as is the quaint town, restaurants, some historical sites and main pedestrian mall in Zichron Yaakov. The remains of a Roman theater, burial caskets, mosaic flooring and marble pillars is regarded as one of the most beautiful Roman-period complexes in the world. Shuni is situated on lands that belonged to the tribe of Menashe, and is identified with the village of Shuni, which is mentioned in the Talmud. From the theater you will get a glimpse of the Baron d'Rothschild's vineyards in Zichron Yaacov. Shuni Park (free admission) is open Sunday-Thursday, Saturday: 9 a.m. to 3 p.m. Friday: 9 a.m. to 12 p.m. There is an entrance fee to the on-site museum and fort. Alona Park, Mei Kedem (Ancient Water) A water tunnel extending 280 m out of Mei Kedem, which was built more than 2,000 years ago, in Herod and Hadrian’s day. The water tunnel was part of an engineering system designed to supply water to ancient Caesarea. These days, you can walk along the tunnel, with the water reaching up to your knees. Our Tip Non-slip water shoes and a change of clothing are a must. The water level is sometimes deep, and so we do not recommended this outing for children under the age of 8.
and the Banyas are just some of the other sites and attraction you can enjoy. About 2km before Kiryat Shmona, on the main road, is Tzuk Manara. There is a cable car, the longest in Israel, that goes up the mountain where you can enjoy panoramic views of the surrounding area and in the winter, the breathtaking, snow-capped mountains. During the summer the site is open every day from 9:30 A.M. – 5 P.M. The Manara site includes: a zip line, mountain slides, guided tours, children activities, a natural amphitheater, a climbing wall, rappelling, a bungee trampoline and there is also a restaurant. Top Tip: Take a jersey when you go on the cable car, it can be really chilly up on the mountain even if it is warm and sunny at the bottom. Not for beginners; challenging and some may even say, hard. Climb the rocks, walk through the natural vegetation, along the river bed with the sometimes turbulent river close by. 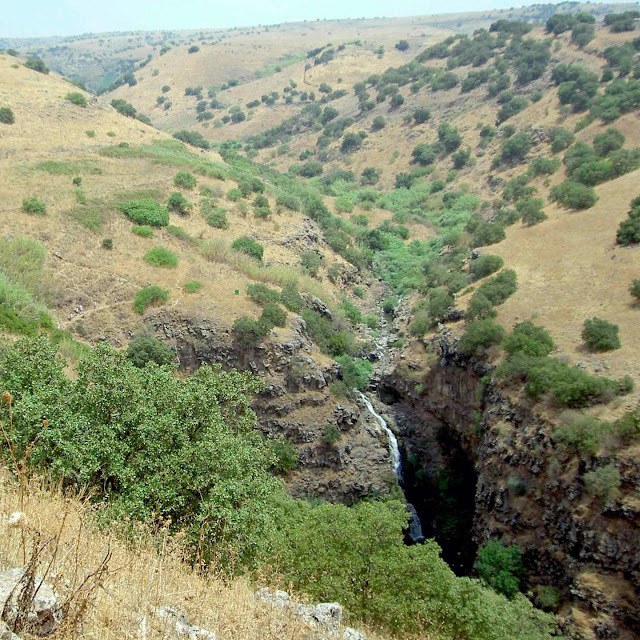 Eventually you will reach the Yehudia Canyon and the waterfall that drops 20 meters into a natural pool, surrounded by basalt rock formations known as the Hexagonal Pools. Top Tip: Good hiking shoes or sandals that can be used to wade in the water will come in handy - lots of small stones and rocks in the water. Near Nofit, names after Ohad Zak, a Nofit resident who was killed while serving in Lebanon in December 1988. The trail is about 2.5km and takes about 90 minutes to walk. There are benches and look-out points along the way so you can sit down and enjoy the stunning views of Nahal Tzipori, the Galilee and the Akko Valley to the south. Israeli wild flowers and date, olive, pomegranate and almond trees line the trail. Near the end of the trail you take in a view of the Carmel, the Nesher quarry and Haifa bay and industrial zone. Directions: Nofit can be reached from Kiryat Tivon and the Alonim Junction, or drive along Highway 672, which branches off the Yagur-Shfaram Highway (Highway 70), about 2 km from the Yagur Junction. An adrenaline rush! Even though this trail is only a couple of kilometers long, set aside an entire morning to do it. From rout 805 take the road leading to the Yaad community village. Park your car by the pine tree forest near the entrance. 4X4 vehicles can continue on the dirt tracks. Your first stop is the wine-press, about 800m into the trail. About 300m along you will reach the Rosh Zayit remains and then continue on to the remains of Beza, a village dating back to the times of King Solomon. Here you will find a number of ancient burial caves and a recently opened, 9km, off-road bicycle trail meanders along the perimeter of the forest. Dating back to the 19th century - on the shores of the Sea of Galilee (Kinneret) not far from Kibbutz Kinneret. 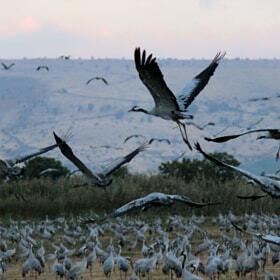 Shmurat HaYarden (the Jordan Nature Reserve) is a paradise for nature lovers. Palm trees and water pools invite a variety of bird species. In the past a channel of the Jordan River flowed here. Not to be confused with Park HaYarden (the Jordan Park). The Lavi pine forest at Tzommet Golani - accessible to the handicapped. Here you'll find remains from the Roman-Byzantine period. Also known as Lubya, the name Lubya was known during the crusaders period and is also mention in the Talmud. In addition to walking the trail, it is also recommended to experienced cyclists.